Ms. Corrigan is President and Treasurer of the Company. 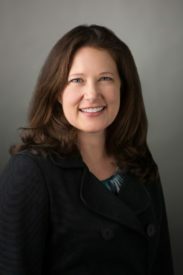 Before joining the Company in April 2012, Ms. Corrigan was a controller for Transamerica. Her prior work experience includes Amoco Oil Company, McGladrey & Pullen, and Alliant Energy. She possesses skills in business valuations, merger and acquisition analysis, business and performance planning and leading organizations through significant change. Ms. Corrigan graduated with highest distinction from the University of Iowa with a B.B.A. in accounting. Her M.B.A., also from the University of Iowa, emphasized finance and management and organizations. She is an inactive status certified public accountant (CPA). Mr. Verret is the Louisiana Operations Manager for the Company. Mr. Verret brings more than twenty years of experience in the gas and oil industry to his position with the Company. He is involved in the day to day operations of the Company’s Louisiana operations including hunting, fishing, farming, and camping leases, oil and gas leases, and wildlife management. He is on the Board of the Louisiana Land Owner’s Association and President of Bayou Hunting Expeditions. Mr. Verret graduated from St. Martinville High School in 1987. 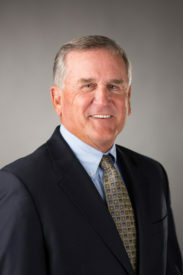 Mr. Trewin is a director and Chairman of the Board of the Company. Mr. Trewin is a retired licensed professional mechanical engineer. 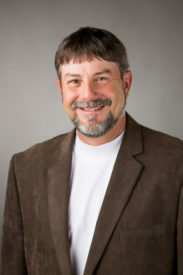 Mr. Trewin was a principal in Practical Building Solutions 2000, Inc., a mechanical, electrical and plumbing engineering design firm and served as the electrical contractor for the rebuilding of downtown Wylie, Texas. He was a founder and manager of Trewin & Smith, Inc., an air pollution control systems design and manufacturing firm and was a Major Subcontract Manager with Texas Instruments Incorporated. Mr. Trewin has been a director of the Company since 1986 and served as President of the company from 1995 to September, 2012. Mr. Trewin holds a B.S. in Mechanical Engineering from Iowa State University. Ms. Greif joined as a director of the Company in 2015. 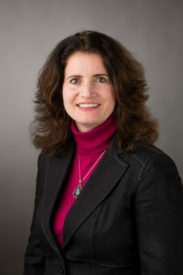 Ms. Greif co-founded TaxACT, Inc., an online tax software company based in Cedar Rapids, Iowa, in 1998 and acted as Chief Marketing Officer until 2012 when the company was sold to Blucora. Ms. Greif currently manages the finances of the family’s 3,000 acre farming operation, investment securities, commercial real estate and other alternative investments. She also dedicates her time to enriching the entrepreneurial community through mentoring startups at the Iowa Startup Accelerator and other entrepreneur-related events. Ms. Greif serves on the Mount Mercy University Board of Trustees and the Board of Directors of Timberline Manufacturing in Marion, Iowa. She received a B.B.A. in accounting and business administration from Mount Mercy College in 1988, and is an inactive status certified public accountant (CPA). 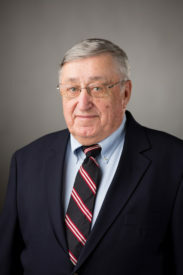 Mr. Kreiner joined the company as a director of the Company in 1989. Mr. Kreiner is a senior vice-president-investments and member of The Kreiner Financial Group associated with UBS Financial Services, Inc. in Buffalo, NY. Mr. Kreiner has been involved in brokerage and management of investment securities and portfolio management of stocks, bonds and mutual funds since June 1972. Mr. Kreiner served in the United States Navy with combat experience aboard a destroyer in Southeast Asia. Following active duty, Mr. Kreiner served in the United States Naval Reserve retiring with the rank of Captain. Mr. Kreiner graduated with a B.A. in Economics from Hamilton College in 1967 and with an M.B.A. in Finance from the University of Southern California, Graduate School of Business Administration in 1972. Mr. Poché became a director of the Company in 2007. Mr. Poché is majority owner of Superior Derrick Services, LLC. The company fabricates derricks, substructures, and drilling rigs (new and refurbished) and is one of the leading fabricating companies along the Gulf Coast. Mr. Poché is also 50% owner of Champion Resources, LLC. The company has a one million square foot office/warehouse facility that sits on sixty acres. They buy, sell and rent drilling equipment. Mr. Poché has been self-employed since 1980. He graduated from St. Martinville High School in 1961 and attended the University of Southwestern Louisiana in Lafayette, Louisiana. Mr. Slattery joined as a director of the Company in 2003. 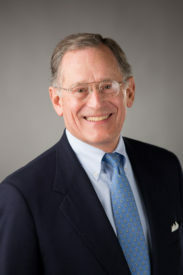 Mr. Slattery is the principal shareholder and Chairman of the Board of Heritage Associates Corporation, a commercial real estate services firm. In addition, Mr. Slattery owns Hawkeye Escrow Company, a third party escrow firm, and Centurion Properties Partnership LLP, a real estate investment entity. Mr. Slattery has been involved in the commercial real estate industry since 1979. He is on the Board of Directors of NXTBank (formerly City State Bank). Mr. Slattery is a graduate of the Eastman School of the University of Rochester (New York) and holds M.A. and Ph.D. degrees from the University of Iowa. 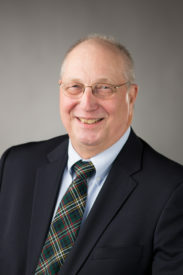 Mr. Sorensen has been a director of the Company since 1998. Mr. Sorensen retired from the M.H. Whittier Corporation, where he last served as President and a Director. Since his retirement, Mr. Sorensen continues to serve as Chairman of the Board of Directors of the Whittier Trust Company and as a Board Member of various Whittier corporations and charitable foundations. 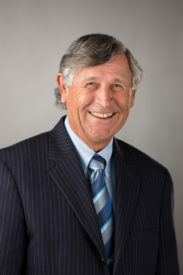 Mr. Sorensen is a 1964 graduate of Brigham Young University with a B.A. in Accounting.